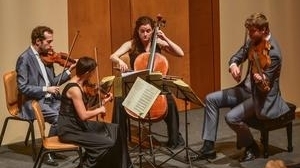 During the 2017-18 season, the Ariel Quartet performed at the distinguished Shriver Hall Concert Series at John Hopkins University in Baltimore, Schneider Concerts at the Mannes School, and the New England Conservatory, in addition to chamber-music series in Kansas City, Portland, OR, and Calgary, and on tour in Israel and Europe. 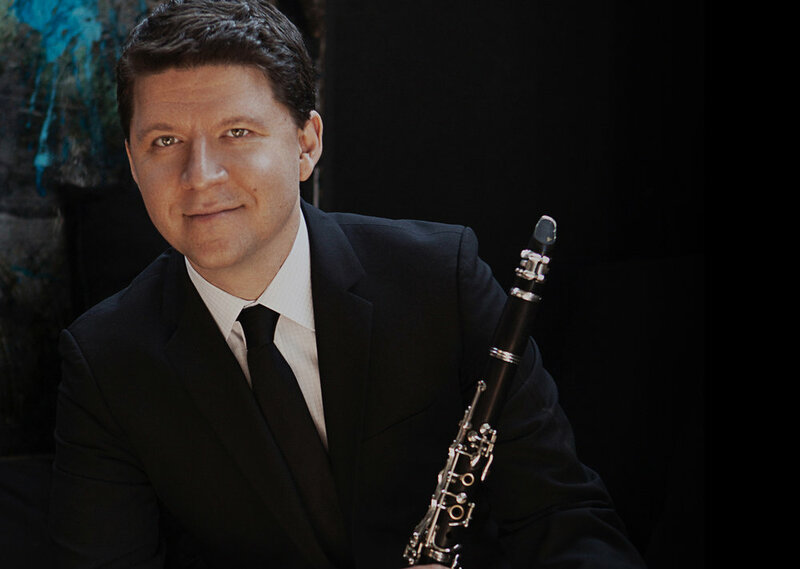 The ensemble has dedicated much of its artistic energy and musical prowess to the powerful Beethoven quartets, and has performed the complete Beethoven cycle on five occasions throughout the United States and Europe. 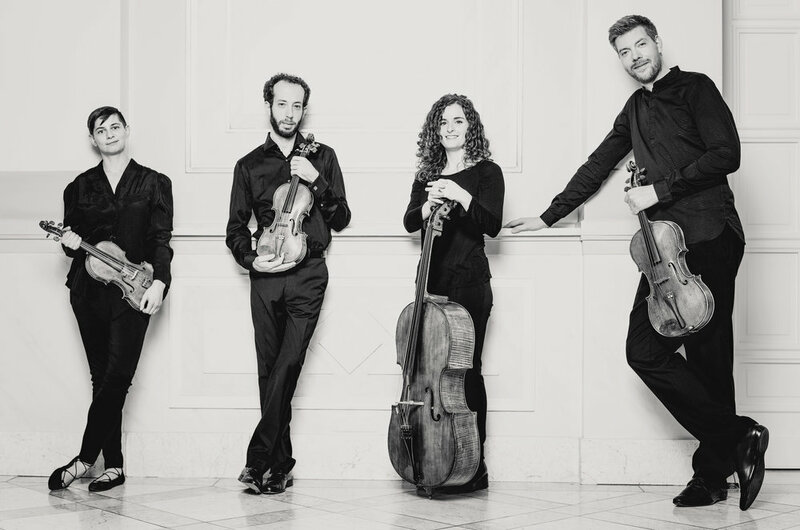 The Ariel Quartet is the first group to have played the complete Beethoven quartets in New York’s alternate music venue SubCulture, which included a performance of the Grosse Fuge at midnight. August 2018 – Please do not edit without permission. An incredibly versatile and in-demand composer, Christopher Theofanidis’ works have been performed by a number of preeminent chamber ensembles of our time, opera companies (San Francisco and Grand Opera), and major orchestras including the London Symphony, New York Philharmonic, Philadelphia Orchestra, and Atlanta Symphony. Theofanidis is a professor at Yale University, and composer-in-residence and co-director of the composition program at the Aspen Music Festival. The Ariel and Fiterstein are thrilled to be offering Mr. Theofanidis’ latest work for chamber ensemble. In addition to the new work, the quintet will offer either the Brahms or Mozart clarinet quintet, or a pair of quartets to open the program. The Ariel Quartet will be touring with the pianist Benjamin Hochman, whom they have known practically all their lives. The program is built around Brahms’ monumental piano quintet. The Ariel Quartet first performed the Beethoven cycle in Cincinnati five years ago. Since then, they have gone to perform the complete cycle in Berlin and for Napa’s Music in the Vineyards Festival. The Ariel also presented a groundbreaking Beethoven cycle performed at New York’s SubCulture that featured a midnight performance of the Grosse Fuge. Click here to read the Ariel’s thoughts on Beethoven, as well as to watch videos from each of Beethoven’s quartets: https://www.arielquartet.com/the-cycle/. It isn't unusual for quartets to grow old together, however, not many started their journey at 14 years of age, maturing together professionally and personally. Memory Lane includes two of the first pieces we ever played which are uniquely significant to us since they sparked our love for the string quartet genre. The middle piece is a special anniversary commission by Matan Porat, one of the most exciting composers of our generation and a close friend of the Quartet. It is conceived with the intention of bringing our personal story to the front of the stage, with humor, wit, and a reflective spirit. People often ask us about our favorite piece of music. The answer to this question is complicated, especially as we get to dive into some of the best repertoire ever written on a regular basis and inevitably fall in love easily. We do, however, feel that some pieces have special personal significance for us. My Favorite Things highlights three masterworks that were composed and perfected each in its own time, and yet we feel that they're still alive and evolving with every performance. The more we play them the more fascinated we become with new layers we discover. Homage to Three Heroes is dedicated to the three quartets who were a constant source of inspiration for us and with whom we had the honor of working throughout our formative years. We count ourselves lucky to have been able to work with members of the Amadeus Quartet on multiple occasions. The cheeky Viennese charm with which Siegmund Nissel sang the second theme of the first movement will forever stay with us. With his endless curiosity and uncompromising dedication to realize each composer’s wish, Walter Levin played a key role in our musical lives. It was he who planted the seed in us to continue to explore and commission new works for the genre. We’re so grateful that the group of Cincinnati supporters who made his dream a reality with works such as the Ligeti are still dedicated to making it possible for us as well. Having grown up on the Cleveland Quartetʼs recordings, their guidance and support were of special significance to our quartet. Paul Katz paved the way for us to come to the United States, and we are fortunate to have explored so much of the string quartet repertoire together with him. The Clevelandʼs benchmark rendition of the Op. 67 Brahms quartet continues to remain a source of inspiration.